Hey guys! 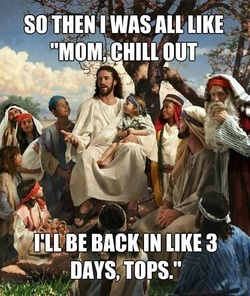 First of all, Happy Easter! Second, what a hard writing week it has been! I'm still stewing about The Cure, and how slow sales on that book have been. It's making it hard to write the new book. I'm freaking out that this one won't be as good, and on and on (insert womanly and writerly insecurities here). Additionally, I wrote a section for the new book about something I don't really know about. I had to do some research, and reach out to several people to tell me how things would go. So that part was really hard to write. I'm sure I will have to go back and change things quite a bit in the end, to make it better and more accurate, but I got through it. And for now, that's the important part. Best of all, I hit my word count goal for week 1 of 12!!! 5,388 words down, 54,612 words do go! First draft, here I come! Hey all! Sorry for the radio silence! But I'm writing again! Finally! I have definitely had a hard time getting over the hump from The Cure, but I'm at it again. I just finished my detailed outline for my next book (hopefully a trilogy series by the time I'm done with it). I've given myself 12 weeks to write the first draft. That takes me through to July. I will spend August with beta readers (anyone interested? ), and September and October will be for editing, and designing a cover. Then November will be coding, and releasing! Additionally, I'm working on getting a newsletter going, since everyone says that's the best way to reach readers and interact with them. I'm open to tips/tricks on this front, since I'm totally new to the game. Want to sign up for my news letter? Post a comment and I'll add ya to the list! First, we're 1 month into the year, and I'm 3/4 of the way through my New Year's Resolution. The Nevermore Trilogy by Shannon Mayer was AMAZING! You can buy the books one at a time, or get them all at once with the Trilogy (see the link). I could not put these books down. So, I'm three books into my four book resolution! I'm thinking I might revise, and say maybe I read four different indie authors before the end of the year? We'll see. :-) At any rate, I'm excited about what I've read so far! Other indies, you have a lot to live up to! The Cure also received it's eighth 5 star review!! Although not many of you have read it, those that have are loving it! Next up: Print edition for The Cure! I just finished reading Sundered by Shannon Mayer. Woah. What a great read! It has been a really long time since I read something in a day, but that was a good book. In light of that, instead of reading my next main stream pick, I have to know what happens in the series! So I'm reading Bound. Yup. That happened. In other news, I started outlining my new idea and got discouraged. I really just had enough for maybe seven chapters and I just wasn't terribly excited about it. So I put it to rest for a bit. We'll see what I can come up with. I'm reading more to try and spark some inspiration! Wish me luck! In other news, The Cure is on a Goodreads list of Indie Authors to Watch! If you feel like it, go vote for it! It's on page 12 right now, ranked 794. But hopefully by the time you read this it'll be higher than that! :-) Vote! Lets see if we can get it on the front page of that list!! Second is to read more Indie books! I am an indie author, and although I love mainstream books and don't feel reading should be a chore, I need to read more in my genre. So, in light of my current reading pace - that is reading with a 9 month old - I've resolved to read 4 indie books this year. My chosen books are on the right, and I'll leave reviews as I go. My selections aren't finite though, so if you have one to pitch, please don't hesitate! And, if I get on a roll, maybe I'll do more than 4! The Cure is on Kindle Nation Daily today! Check it out guys! 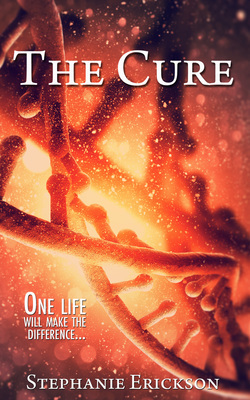 The Cure is on Kindle Nation Daily today! Hopefully this helps get the book some much needed exposure! We're also launching an Adwords campaign today so wish us luck!! And get your copy of The Cure today! Just puttin' some words on a page!